Task: to design a new website along the same lines. 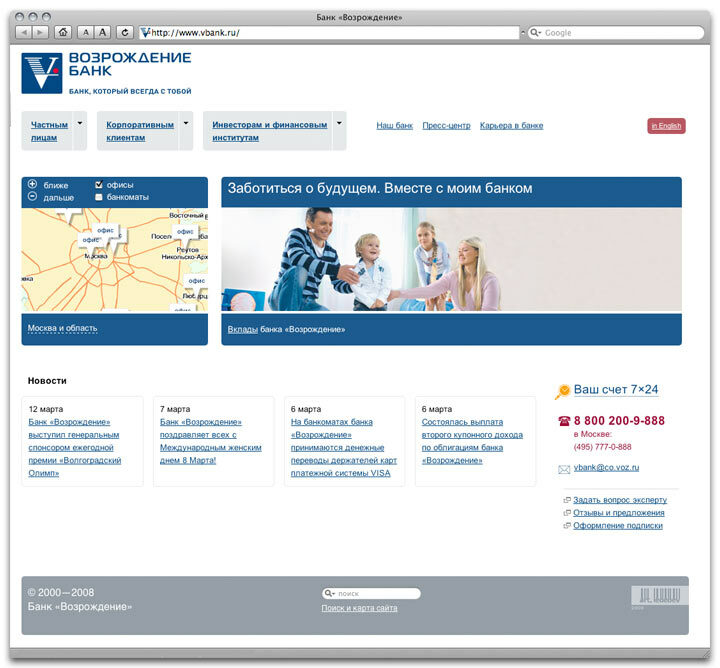 The site uses the banks corporate color scheme and includes interactive maps of 9 Russian cities. There is a special section for children and the English version available, not to speak of credit calculators.